DARE COUNTY — Anger and angst over extreme flooding after Hurricane Matthew on the Outer Banks echoed the outrage over ponding water here expressed more than a decade ago, but now local governments are actively working to mitigate the problem. At the same time, rising seas and record rainfalls have made solutions more challenging and costly. 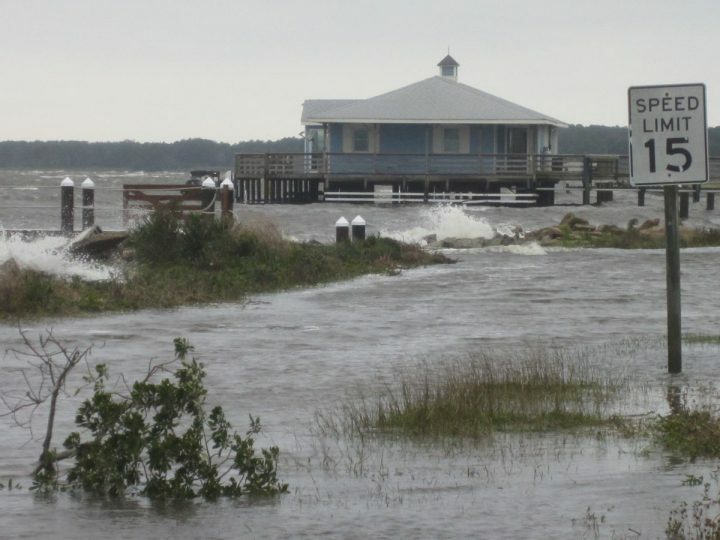 The towns of Manteo and Nags Head, for instance, provide telling examples of the complexity – and urgency – involved in managing storm drainage on North Carolina’s low-lying barrier islands. 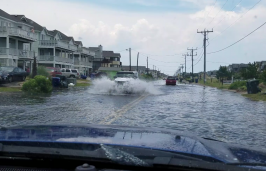 “I would say it’s gotten more challenging because when you look at these rain events, the frequency and amount is greater,” said Andy Garman, Nags Head deputy town manager. Rainfall has become more intense and localized, he said, randomly overwhelming different sides of town with stormwater. And there’s just more rain overall. In 1979, the annual average rainfall in the town was 45 inches a year; it’s currently about 60 inches a year. Between October 2015 and October 2016, 70 inches of rain fell. In July 2017, 4 inches of rain was dumped within an hour across a 1-mile area. Drainage is a problem all over the Outer Banks, a resort destination known for its beautiful beaches. It is also one of the most vulnerable areas on the U.S. coast to the effects of sea level rise. Although higher groundwater levels and increased beach erosion have been issues for years, the relationship between development and stormwater management had been resisted – until it could no longer be ignored. Back in August 2004, then-state Sen. Marc Basnight, responding to a public outcry, called an informal meeting with citizens on the northern Outer Banks to talk about flooding that had resulted from a series of tropical storms. People were livid about huge puddles standing for weeks in their yards and on roads and were demanding action. 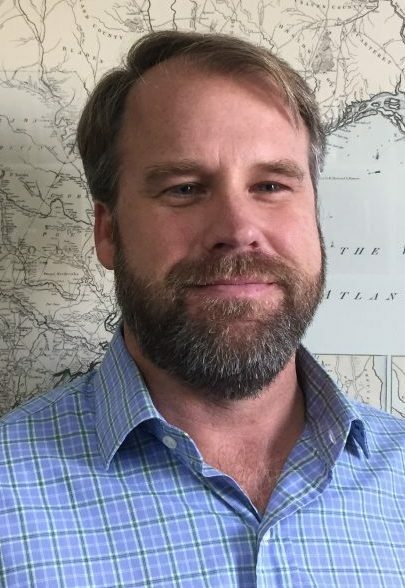 Basnight said that he wanted to spur discussion about solving the increasing drainage problems on barrier islands while protecting water quality. In retrospect, that meeting, which also included representatives of numerous state agencies and local officials, may have indeed galvanized the community to start to address stormwater management in a comprehensive way. With Basnight’s support, the Outer Banks Hydrology Committee was formed to tackle the problem. Members included, among others, representatives from Dare and Currituck counties and northern Dare towns; the North Carolina Division of Water Quality; the North Carolina Division of Environmental Health; the North Carolina Department of Transportation; the North Carolina Homebuilders and Realtors associations; and the North Carolina Coastal Federation. After holding 11 meetings and listening to 15 different experts speak on a range of topics, the committee concluded in its November 2005 findings report that “the Outer Banks water budget is grossly out of balance” and that “water resource management on the Outer Banks needs … a holistic approach addressing the entire hydrologic water budget and working across government and agency jurisdictions. Thirteen years later, every municipality in Dare County, as well as the county, has implemented more stormwater management rules and practices. Even though the terminology used in planning is mostly centered on flooding causes – ocean overwash, sound tide and heavy rainfall – it is clear that environmental conditions are changing faster than local governments can keep up. Work had continued on the plan, he said, but flooding from Matthew prompted Nags Head to pick up the pace. An inventory of drainage structures in the town had been done from Jockey’s Ridge south, Garman said, and the northern end – last surveyed in 1982 – was just completed in the spring. “That’s really the first step,” he said. Invasive alligator weed that clogs drains and ponds requires treatment and removal, and storm-driven debris has to be cleared out of ditches to prevent flooded yards and streets in Nags Head. Frequent and heavy rainfall raised groundwater levels and leaves the land saturated, allowing water to pool in low areas. During Matthew, one area on the Beach Road had 3½ feet of water. After prolonged flooding from rains this summer, more than 20 Nags Head residents held an impromptu meeting in September to demand better management of drainage, and it was a prominent issue in recent town elections. Dave Ryan, town engineer for Nags Head, said that the town’s dedicated stormwater tax of one penny generates $235,000 a year, but it’s not adequate to address all the stormwater management needs, despite the fee being increased over the years. The town recently created a stormwater committee to help prioritize maintenance and capital improvement projects. “It’s an ongoing effort,” Ryan said. Long-term solutions could include groundwater manipulation, which uses perforated pipes and a pumping system to artificially lower the water table. But the remedy, which proved effective at the Whalehead subdivision in Corolla, is estimated at $8.5 million and would face regulatory challenges on discharge into Roanoke Sound. The town has long had a voluntary “septic health initiative” to help maintain water quality, but higher groundwater could eventually compromise some of the systems. Nags Head had worked with North Carolina Sea Grant in gathering public feedback to establish sea level rise adaptation goals, which are included in the FOCUS Nags Head plan adopted this summer. When discussions were held in 2015, stormwater issues did not factor strongly, said Jessica Whitehead, Coastal Communities Hazards Adaptation specialist for Sea Grant. Although it has since become more evident that climate change and rising sea levels influence flooding, answering how to address stormwater issues in that context is another story. “That’s something we haven’t figured out yet,” Whitehead said. Away from the ocean over in Manteo, the town has somewhat different challenges with stormwater management that over the years has been hampered by outmoded drainage systems, half of which were installed on private property, and waterfront businesses situated inches above adjacent Shallowbag Bay. “With anything we do, we’re fighting gravity,” said town manager Kermit Skinner. Drainage outflow into the bay has to be regularly cleared of solids to prevent water from backing up into the streets. In a partnership with the town, North Carolina State University, North Carolina Department of Transportation, the North Carolina Clean Water Management Trust Fund, the Outer Banks Visitors Bureau and the Coastal Federation built a small, man-made saltwater wetland on the corner of Grenville Street and U.S. 64 in Manteo to create a model stormwater treatment. By holding the storm discharge in the saltwater wetland for 72 hours before it slowly drains into the soil, pollution can be decreased, explained Michelle Clower, coastal specialist in the federation’s Wanchese office. A recent report on the experimental project found a significant decrease in bacteria levels, she said, although more study is required to determine the role of salt in the die-off. “I can confidently say it is working well,” Clower said. For about six years, Skinner said, Manteo has had a 2-cent tax for a dedicated stormwater fund. So far, the town has spent about $2 million for an engineered stormwater conveyance system, which included moving infrastructure off private property and major improvements of drainage lines under several streets. Additional improvements are underway or planned on other roads. Skinner said that with the drainage improvements, sound tide has been able to drain more quickly. 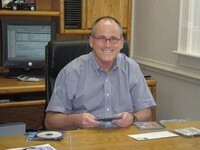 But he does not pretend that there are easy solutions to downtown flooding in coming years. Or in other words, there’s less soil and vegetation to absorb water and there’s more impermeable ground cover. But in 2017, there’s a lot more water.